As a kindergarten teacher, it is my goal to provide the most meaningful, engaging, and authentic lessons for my students. The inquiry based projects I plan include critical thinking, creativity, collaboration, and communication. 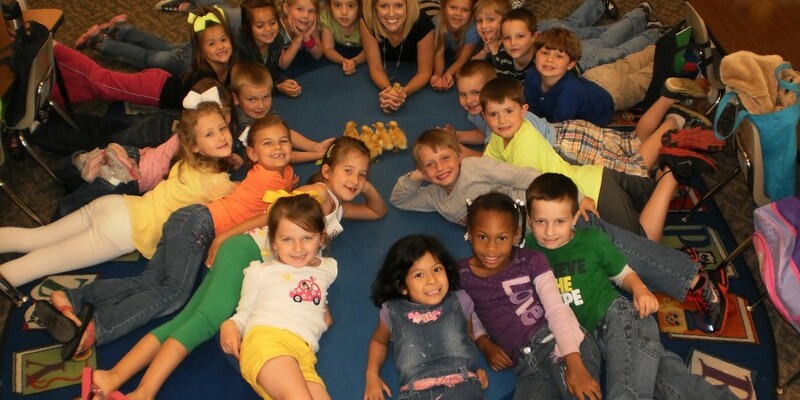 Our “Make Way for Ducklings” project started on April 9, 2013 with 12 little pekin eggs, 6 were fertilized. As a class, we researched how to care for the eggs, turned the eggs twice each day, learned about the life cycle, and their habitats. We candled the eggs to watch the stages of growth inside the egg with our very own eyes. On May 7, 2013, we welcomed 6 ducks: Donald, Daisy, Huey, Dewey, Louie, and Daffy. This is a picture of our class enjoying getting to know our new feathered friends.